Through J-dramas, I've come to know Arashi, and through Arashi, I've come to know so many more actors and actresses, some of whom I've come to really adore in their own right. So let's take a look at what roles each of these talents have been cast along with Arashi and identify any ones who have had completed the Arashi Grand Slam of working with all five! *This post may be updated on an irregular basis. I hope to see many of these actors/actresses get more projects with Arashi members in the future. **For some of the roles listed, the actors were in the same drama/movie as an Arashi member, but they may never have shared a scene. 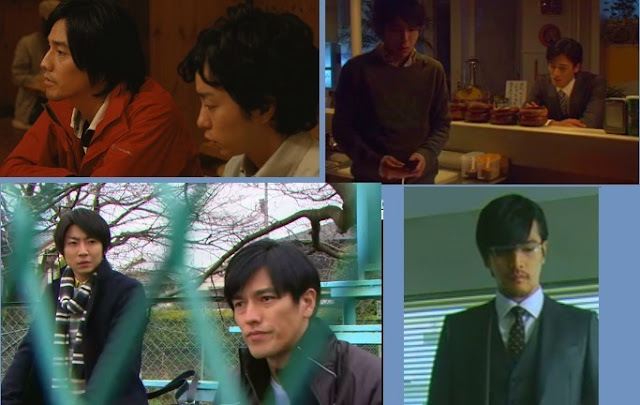 A - Mikeneko Holmes no Suiri, as Tsugawa Junko in Ep 4-6, aka the smexy fearless detective who drunk-kisses Aiba. N - Handoku! as Katagiri Tokushu; Stand Up! as shopkeeper, mailman, policeman. A - P.P.O.I, as Sagami Makoto, aka the smart, athletic classmate of Aiba's. N - Yamada Taro Monogatari, as Torii Kyoko, aka Sho and Nino's homeroom teacher. Haha. 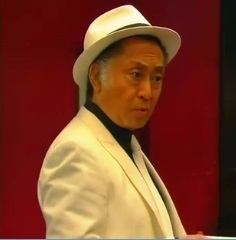 Namase Katsuhisa just got the bingo with Kizoku Tantei!